Last week I posted some initial images from an annual Busker Festival I photographed in Key West. Promised I would scan, work up and post more of them this week..so here we go! As I mentioned earlier, sheer originality was never in short supply in regard to Buskers...and neither was humor. 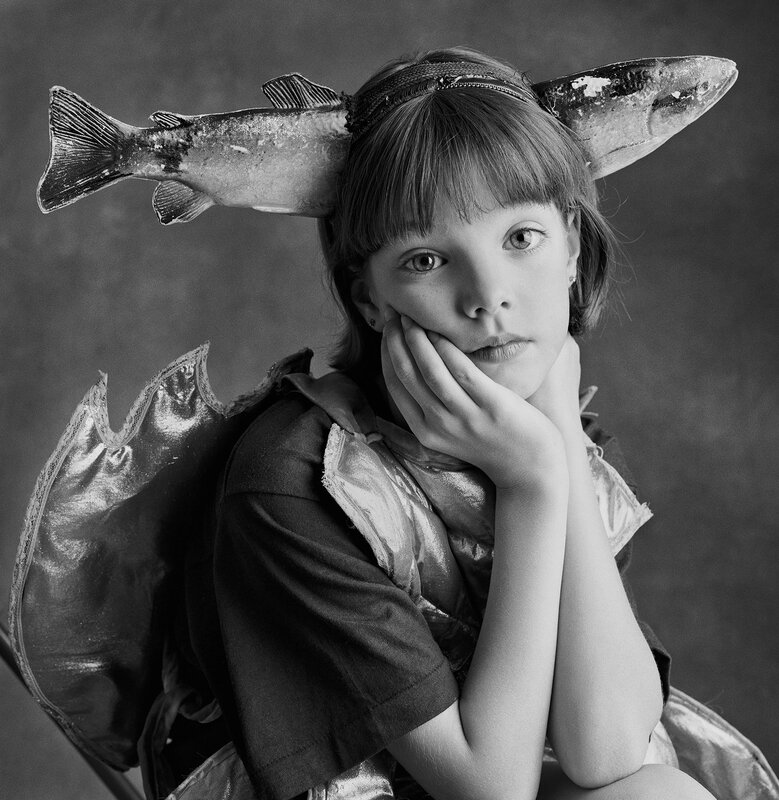 Caroline Simonds incorporated both of those qualites in a skit she called "Fish Tales". A statuesque beauty, dressed in a tight fitting fish costume of her own making...she turned heads wherever she performed. She also included her beautiful young daughter Lailah in the skit. I was immediately drawn to Lailah's beauty and convinced her to sit for me in costume. The resultimg image was one of the strongest of the series and ended up on the cover of the magazine. Because of the many tricks that Buskers perform, the week I spent in Key West felt very 'circus like'. 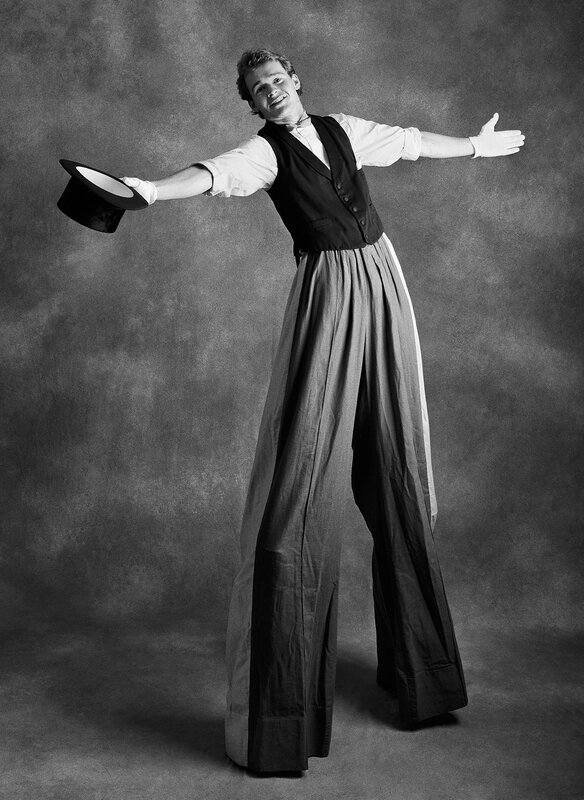 And one cannot have a circus without at least one stilt walker. Jowa Bacher was that young man and had travelled all the way from Europe to attend the festival. The most well known character in attendance however was a juggler known as "The Butterfly Man". His real name is Robert Nelson and he had an amazing show. 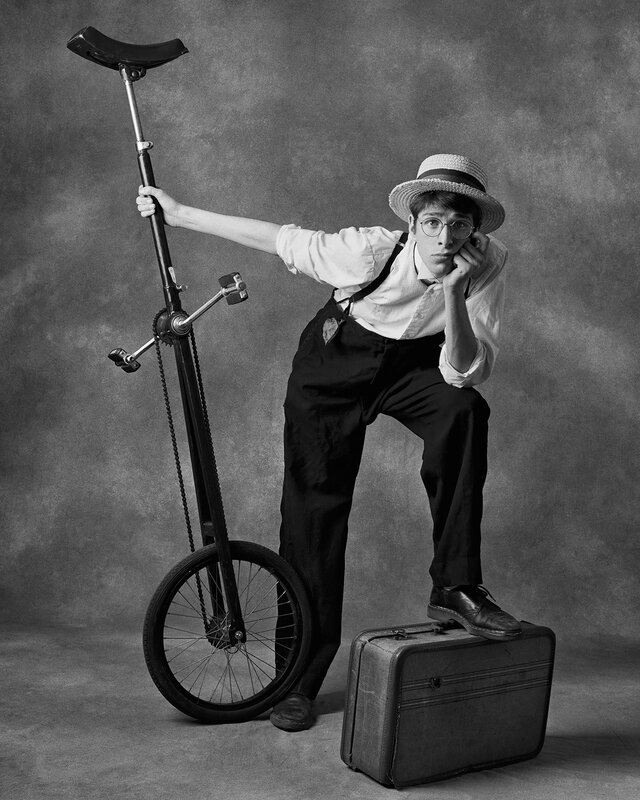 For example, while riding a 6" tall unicycle he would balance a plate on a stick held in his teeth AND juggle three flaming torches! Pretty amazing. As you can see from the photo, the name Butterfly Man came from the butterfly tattoo he had on his forehead. I Googled Robert just before writing this article and could see that he maintains an active website and continues to perform! Another fascinating character was "Balloon Man" Allynn Gooen. Allynn was the most talented balloon artist I have ever seen. 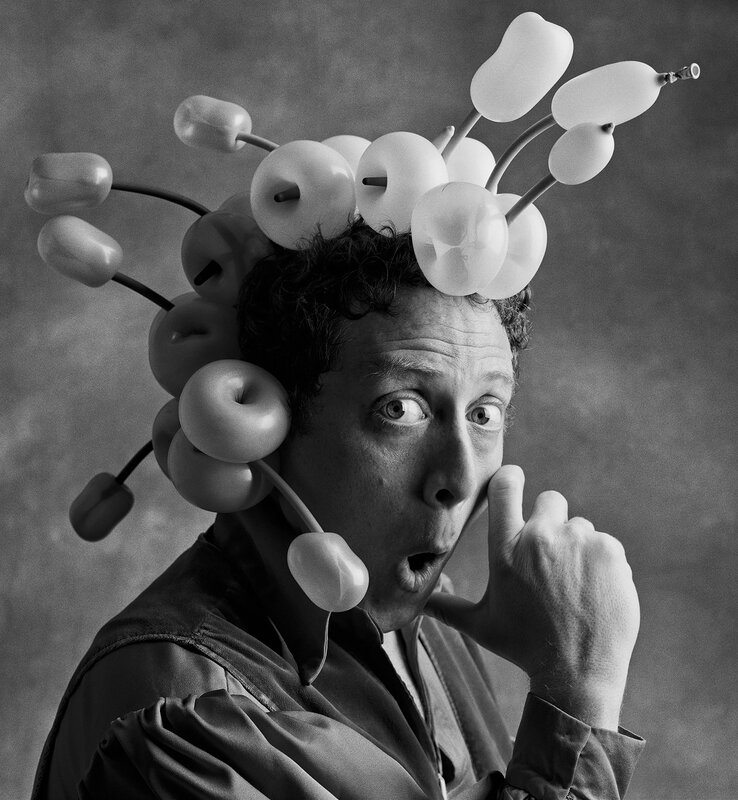 He quite literally could make just about anything from balloons and this inventiveness endeared him to children and adults alike. 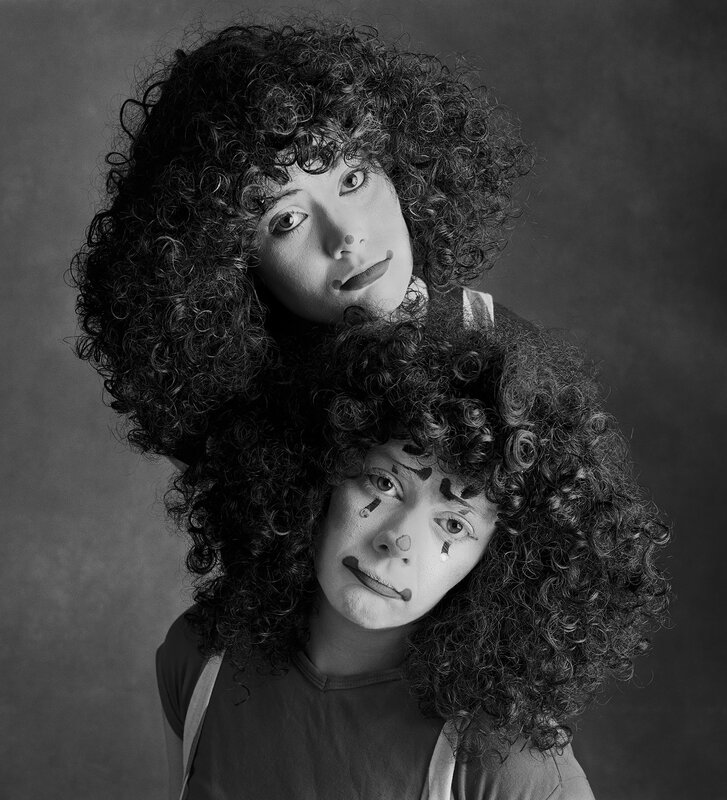 Bunnie Collins and Arian Black were young female mimes. They were wonderful to watch... and beautiful to photograph! This final image is of a young Irish fellow by the name of Mickey O'Connor. 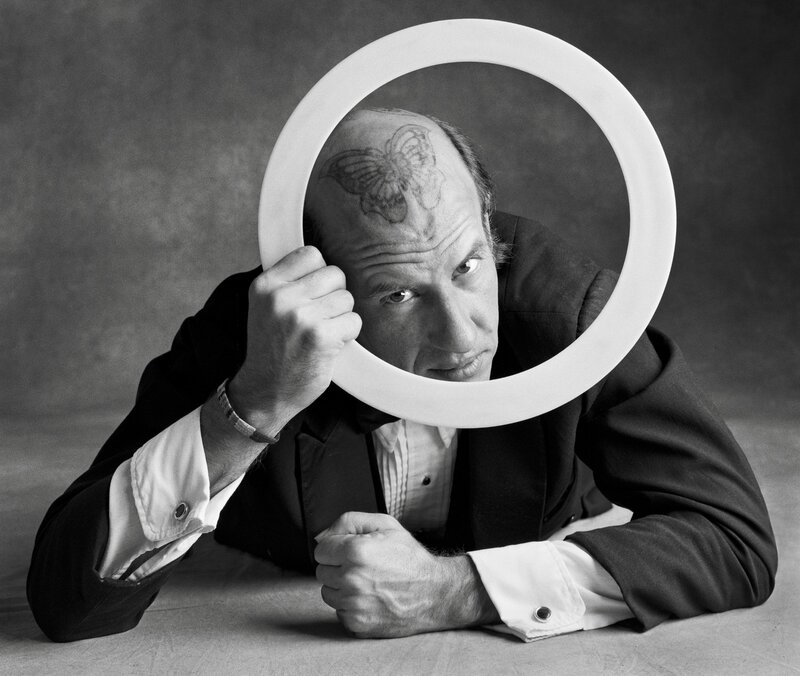 His manner of dress and the syle of his show both paid tribute to the vaudville era. The annual Busker Festival no longer takes place in Key West, but street performers do still ply their trade at Sunset Celebration, a nightly arts festival at the Mallory Square Dock. Stop in if you ever find yourself in the Keys. To see more of my photo series, click here to enter my website and then click on "Series" in the menu bar.